The 2005 WNBA Finals was the championship series of the 2005 WNBA season, and the conclusion of the season’s playoffs. The Sacramento Monarchs, top-seeded champions of the Western Conference, defeated the Connecticut Sun, top-seeded champions of the Eastern Conference, three games to one in a best-of-five series. This was Sacramento’s first title. The Monarchs made their first appearance in the Finals in franchise history. The Sun appeared in the Finals for the second straight time after having lost to Seattle in 2004. 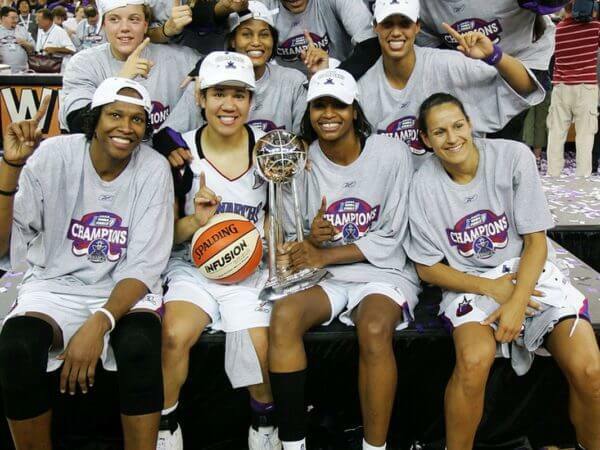 Going into the series, neither team had won a WNBA championship. The Houston Comets hold the record with four championships won. The Sun’s 26-8 record gave them home court advantage over Sacramento (25–9). It was revealed on November 20, 2009 that the Maloof family would no longer operate the Monarchs. The league attempted to re-locate the Monarchs to the San Francisco Bay area, but on December 8, 2009 it was announced that new ownership could not be found and a dispersal draft would be held on December 14, 2009. As of August 2016, the Monarchs were the last WNBA team to cease operations. The Sacramento Monarchs were a basketball team based in Sacramento, California. 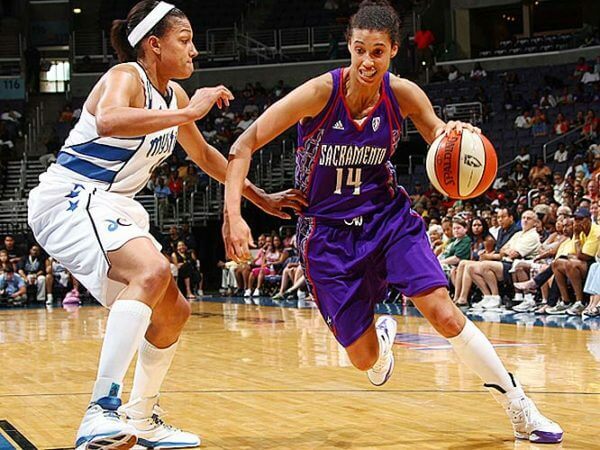 They played in the Women’s National Basketball Association (WNBA) from 1997 until folding on November 20, 2009. They played their home games at ARCO Arena. The Monarchs were one of the WNBA’s eight original franchises and were noted early on for standout players Ticha Penicheiro, Ruthie Bolton and Yolanda Griffith. They were the sister franchise of the Sacramento Kings National Basketball Association (NBA) team. They were one of the more successful WNBA franchises on the court, though they often trailed behind perennial Western Conference champions the Houston Comets and the Los Angeles Sparks. However, in 2005, the team brought Sacramento its third championship in a professional sport (the Sacramento Knights won an indoor soccer championship in 1999 and the Sacramento Surge won the WLAF World Bowl in 1992), winning the WNBA Finals for the only time. Monarchs – The Monarchs was the sister team to the NBA Sacramento Kings and keeping with the royalty theme with kings and monarchs. Who is the greatest Sacramento Monarchs? The Sacramento Monarchs were a basketball team based in Sacramento, California. They played in the Women's National Basketball Association (WNBA) from 1997 until folding on November 20, 2009.